There’s a lot to love about being a doctor of chiropractic—the close bonds you form with your regular patients, the knowledge that you’re tangibly helping people by relieving their back pain and improving their overall health, the mental engagement of following developments in a scientific field, and more. But the biggest frustration of being a practicing chiropractic doctor is the amount of misinformation about our profession that has become so widespread today. 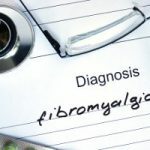 And the reason all this misinformation is so frustrating isn’t because of any feeling of personal insult or offense on our part, but rather because the mistrust it breeds keeps potential patients, good people who are really hurting from back pain or other issues and could use our assistance, from making use of our services. So, to dispel any uncertainty or unease you might have about chiropractic professionals and the work we do, here are some of the most common myths about the chiropractic field, and the facts behind them. 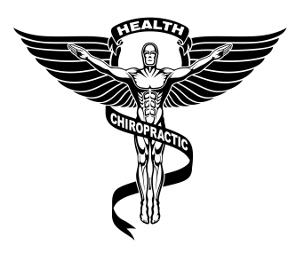 This one is certainly one of the most widespread and the most degrading of myths about chiropractic care. The reality is that doctors of chiropractic go through at least 4,200 hours of study at nationally accredited four-year graduate school programs, combining classroom, laboratory, and clinical internship experience. In many cases, this actually adds up to more hours of study than medical doctors get. After that, they have to pass a series of four national board exams, earn their state license, and go through the same kind of regular monitoring and oversight as any other kind of healthcare provider. Much of the reason behind the prevalence of this myth lies in the history of the medical establishment’s crusade against chiropractic care carried out in the middle of the last century. In 1987 a federal judge even ruled that the American Medical Association and several other accompanying organizations had been illegally conspiring to discredit the chiropractic profession and forbid medical doctors from associating with chiropractic doctors, all in an effort to restrict competition from alternative care methods. Today, the AMA no longer keeps medical doctors from working with chiropractic doctors, and the two are often found working side by side in hospitals throughout the country. But reputations and trust take a long time to build, and misinformation can stay in circulation for even longer, so this stigma against chiropractic care lives on despite all the evidence to the contrary. While doctors of chiropractic do have a focus on treating neck and back pain through adjustments to the spine, this is only a simplification of what we do. Doctors of chiropractic essentially work to address illnesses caused by problems with the nervous system, of which the spine is a major component. Back pain is only one such illness. There’s a wide range of conditions and symptoms that a chiropractic professional can address, including headaches, bowel problems, arthritis, and depression. Any one of these can be a good reason to pay a chiropractor a visit. A common misconception is that after your first adjustment, you chiropractor has somehow cursed you to need regular treatment for the rest of your life. But this is just a misleading misrepresentation of the truth. Once you visit your doctor of chiropractic for the first time, they will set out a long-term regimen for the continued care of your spine, but this isn’t because you’re walking out of their office needing more care than when you walked in. It’s just common sense. The chiropractic profession, like the dental profession, places great value on preventative care rather than relying merely on reactive care. It makes about as much sense to not go to a chiropractor because you don’t want to have to start regularly caring for your nervous system, as it does to never visit a dentist because you don’t want to start regularly flossing and going in for check-ups the rest of your life. The long-term care of your spine is totally up to you and you can stop at any time you like, but you shouldn’t fool yourself into thinking that you’re somehow avoiding problems down the line by simply never starting care in the first place. Hopefully, this will have cleared the air of some of the most common myths about the chiropractic profession. Maybe you had previously believed some of them, and are now considering whether chiropractic care might be right for you. Back in Shape Chiropractic has been serving northern Illinois for 27 years, and our professionals are here to answer your questions. If you are struggling with back pain in Gurnee, IL simply give us a call at (847) 249-2225 and we can schedule an appointment. No matter what your illness, we’ll do what we can to get you Back in Shape.